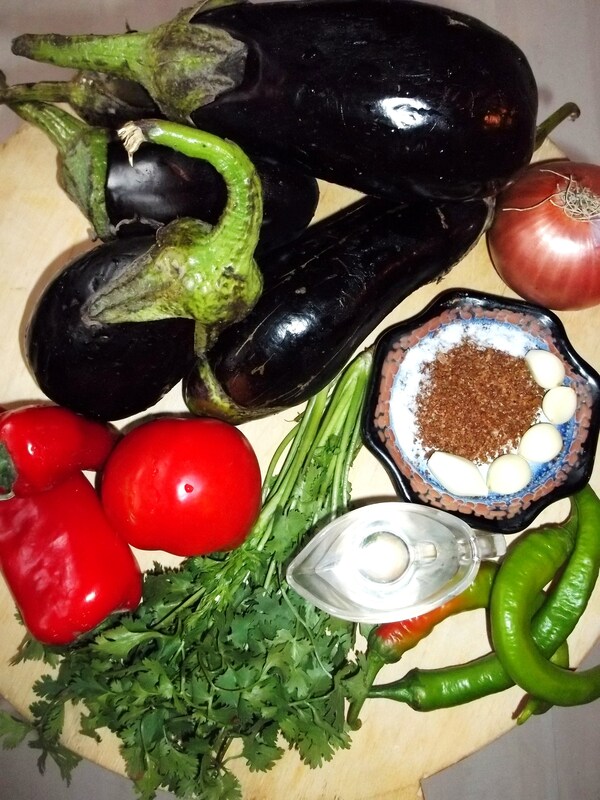 In this family recipe we show how to make eggplant with hot peppers, garlic and Svanetian Salt. Svanetian salt (Georgian: სვანური მარილი), from Svaneti region in the mountainous north-western part of Georgia, has a unique fragrance and taste and is traditionally used as a flavoring for a variety of meat, fish, vegetable, potato and soup dishes. 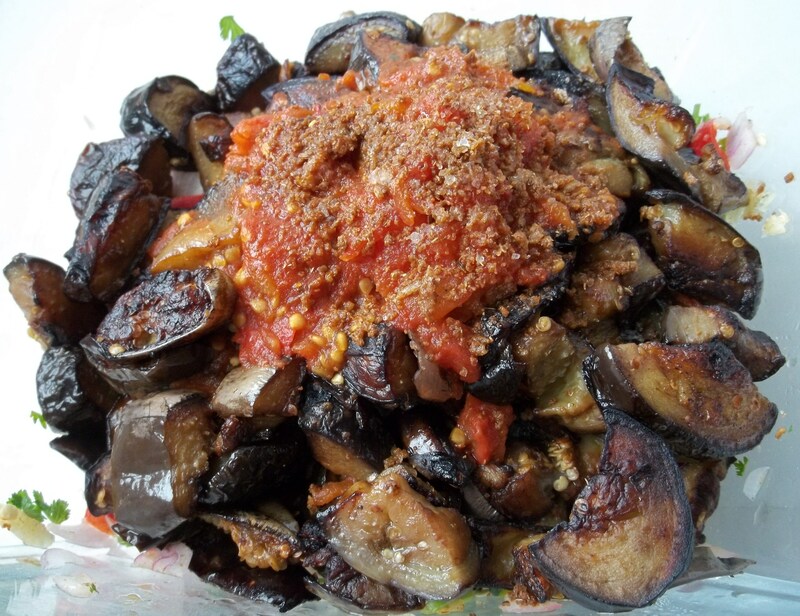 Ingredients: 5 eggplants, 2 red sweet pepper, 3 green hot peppers, 15 grams of fresh green coriander, 1 red onion, 1 large tomato, 5 cloves of garlic, 1 tbs of Svanetian salt, 6 tbs of white wine vinegar, 10 tbs of oil, salt (amount dependent upon personal preference) and 30 ml of water. 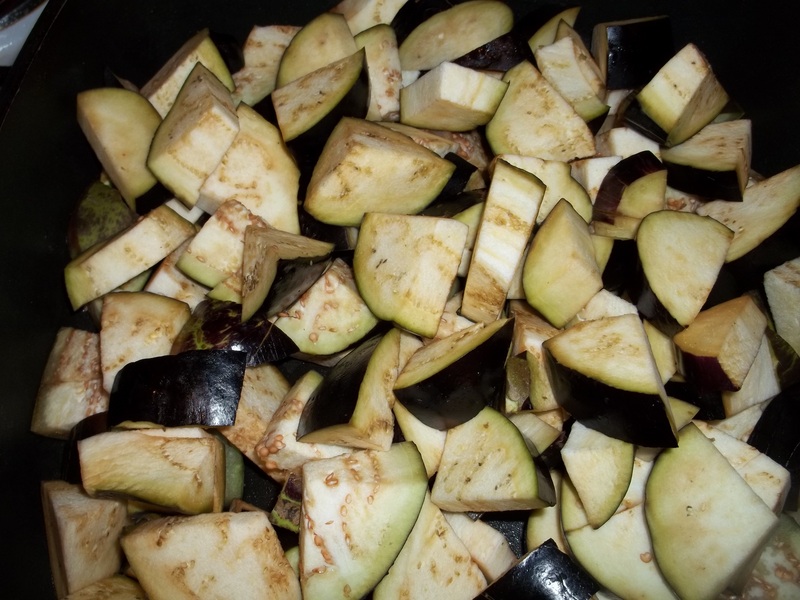 Preparation: Chop the eggplant and add to a pan with 10 tbs of oil. Stir and fry on a low to medium heat for 20 minutes. 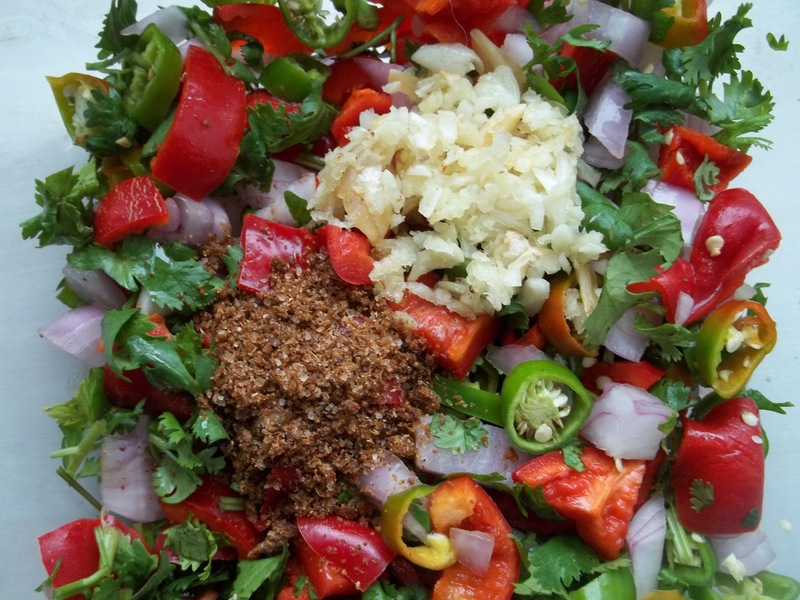 While the eggplant is frying, crush the garlic and chop the peppers, coriander and onion. Add to a mixing bowl. Add 30 ml of boiled water, 6 tbs of white wine vinegar and three quarter tbs of Svanetian salt. Stir and leave for 10 minutes. Chop the tomato. 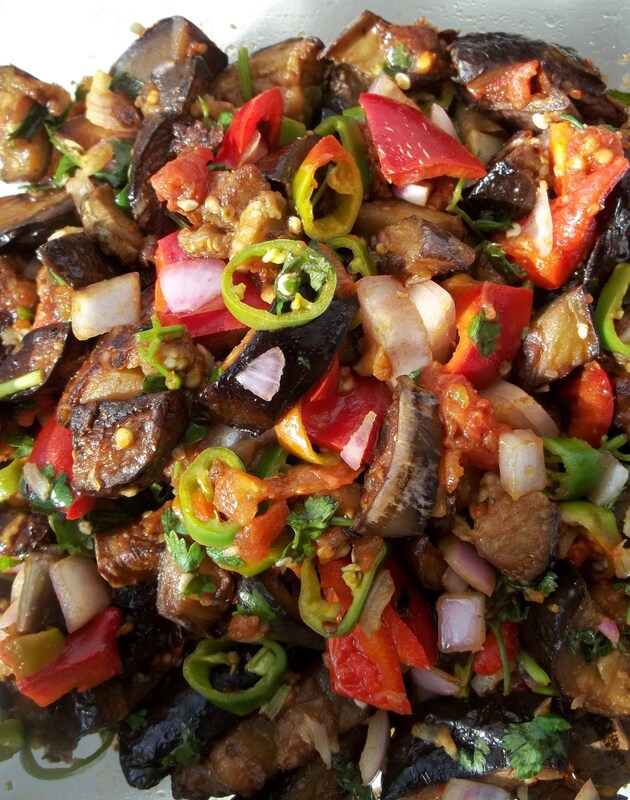 Remove the fried eggplant from the pan and add to the mixing bowl containing the peppers, garlic, coriander and onion. Do not discard the oil in the pan – use it to fry the chopped tomato on a medium heat for 3-4 minutes. Add the fried tomato, together with a quarter tbs of Svanetian Salt to the mixing bowl. Stir and serve immediately. Serving: Serve immediately. It is also delicious served cold. 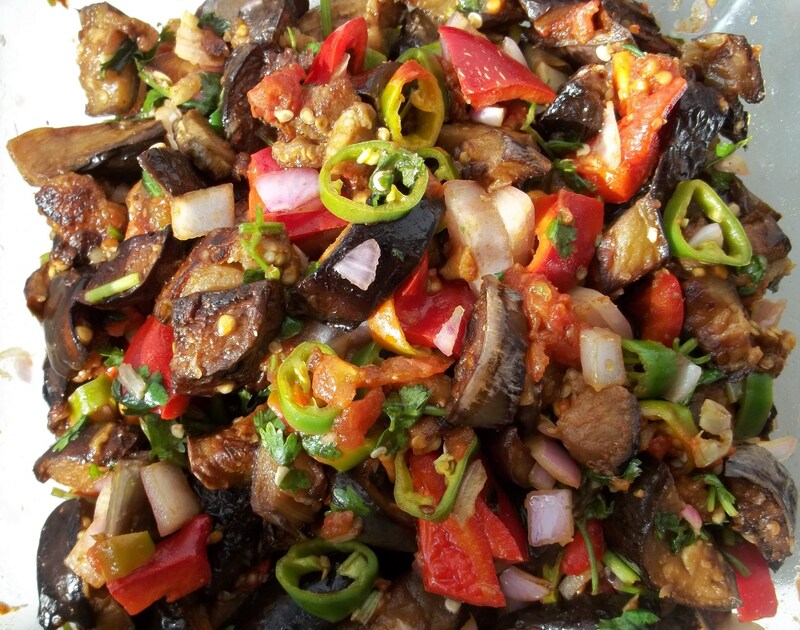 Enjoy your marinated eggplant with peppers! I love the way your posts flow, this looks delicious.